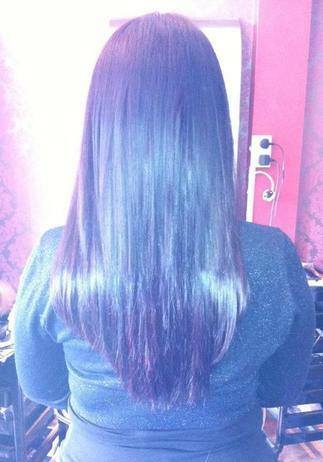 Carla has been professionally trained by Racoon, the worlds leading hair extensions trainer. We think the photos on this page speak for themselves. 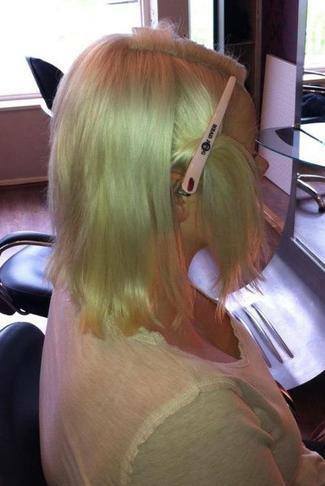 There are some excellent examples of before and after Carla has worked her magic with even the shortest hair. 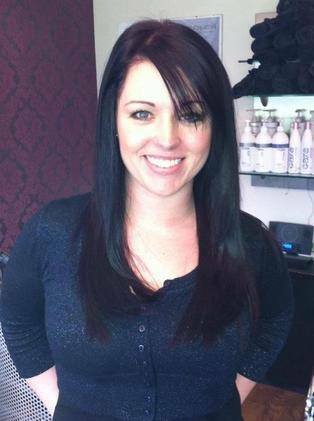 From Platinum to Jet black, we are able to obtain the best quality hair from our supplier to ensure a long-lasting, lustrous head of hair for almost anyone! 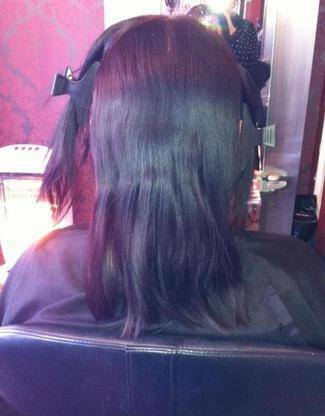 If you are interested in having hair extension, please feel free to give us a call on 01634 780024 to discuss and book in your free, no obligation consultation. 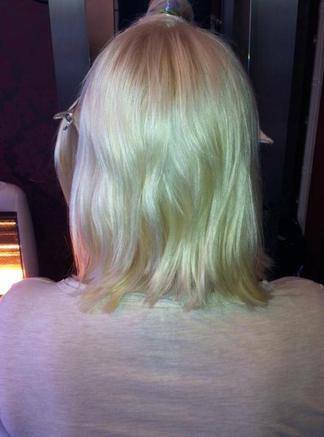 A word from our hair suppliers: "The journey of our hair from its original life existing on the human head, to the point of being sold as a top quality bespoke product for use in extensions, wigs and hair pieces is long and arduous. Sourced from across the world, all of our hair is hand picked and purchased in its raw form, and only the finest, cuticle correct hair is selected. Following the selection process, every strand of hair then undergoes an in-house procedure – often referred to as ‘working’ the hair, this includes: washing, conditioning, drying, and finally being double-drawn into its precise lengths. 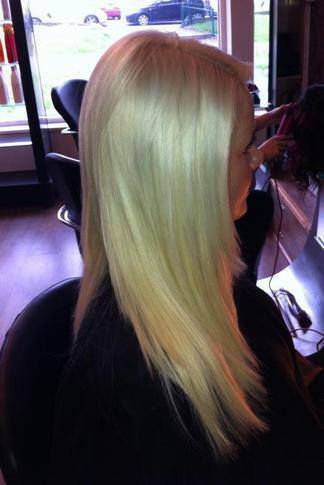 As well as the fundamental working process, we also specialise in bleaching and dying vast quantities of hair in order to maintain a generous healthy stock, creating a diverse range of colours from jet black through to platinum blonde. Each and every procedure of this time consuming work is undertaken by us in our workshop, and carried out with our own hands, no machines… no tricks. 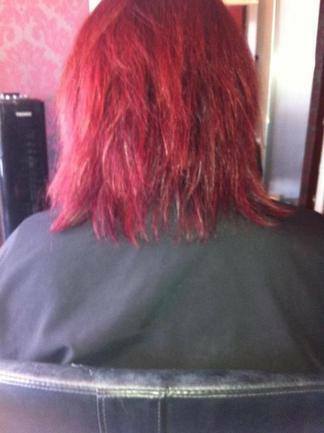 All of the hair is kept on our premises throughout the process and is only handled by fully trained hair specialists to guarantee that the highest levels of quality control are maintained."